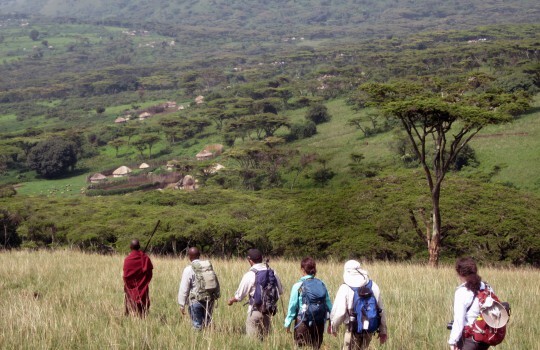 Walking with your local Maasai guide, hiking through the hills and plains of Maasai country you will get to know this ancient culture well, perhaps bumping into local herdsmen along the way or the many animals that cohabitate with them within the Ngorongoro Conservation Area. This is a great introduction to walking in Tanzania as there is some varied terrain, long stretches to really test your legs while offering amazing views and truly unique cultural experiences. 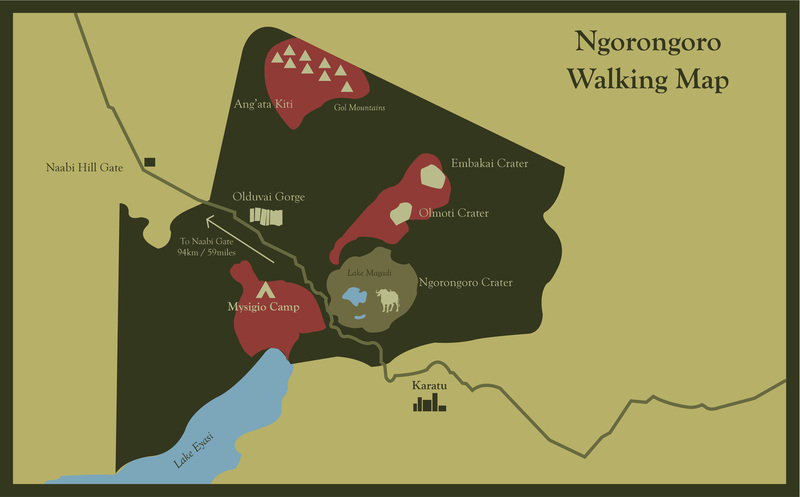 The Ngorongoro highlands can be cold and wet which can be better than being overly hot when walking. We hike straight out of African Environments Mysigio Camp within Ngorongoro Conservation Area and head up towards the ridge that leads into the highlands. The ridge is wide and grassy and not too steep but offers for the first time stunning views to the west over the vast, seemingly endless plains of the Serengeti. You will be accompanied by your guide, an armed parks Ranger and a local Maasai guide. Along the way meet other Maasai herders grazing their cows and goats. By late morning you will reach the high point of this ridge exposing more great views towards Oldonyo Lengai, the active volcano that lies in the Rift Valley to the North. The route now drops steeply down towards the plains far below, following footpaths and animal tracks on grassy slopes before entering the woodland where it evens out into the cooler shade. The Lightweight Camp will have been put up in a sheltered glade in the woods for the night. 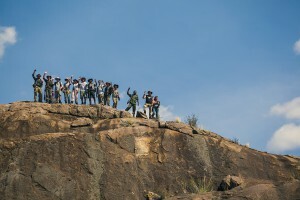 Strike out across the plains, perhaps following one of the dry water courses or head for a small rock kopje to explore. Late morning you will meet your safari vehicle for lunch and then head on by vehicle.